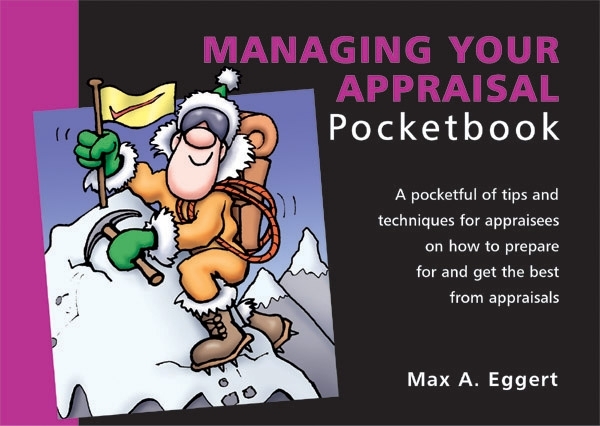 The Managing Your Appraisal Pocketbook is written from the appraisee’s standpoint. It encourages people to take charge of their own career development by preparing for and properly using appraisals. Its author is Max Eggert, a management psychologist who specialises in assisting organisations and individuals to achieve their best. He looks at the dangers and benefits of appraisals, how to prepare for them, performance measurement, feedback, the appraisal interview structure, and types of questioning. For hints and tips on setting up and running an appraisal system, see The Appraisal’s Pocketbook.